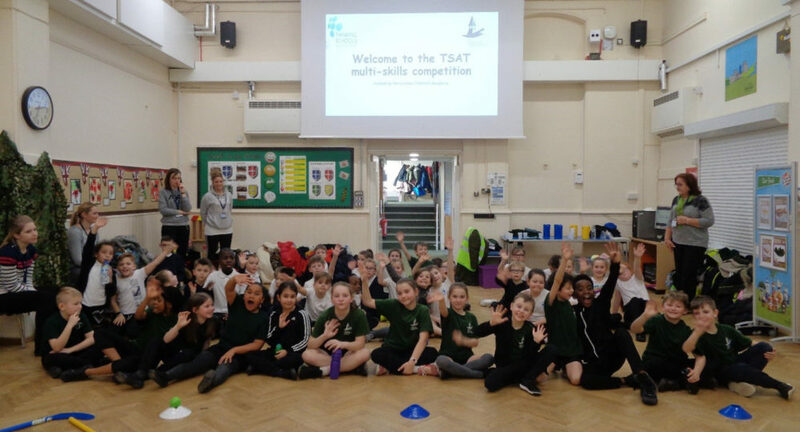 Thinking Schools Academy Trust – Medway Primary Multi-Skills Competition 2019! 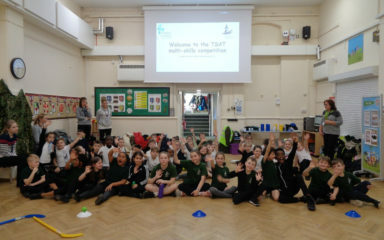 The Gordon Children’s Academy played host to the best athletes from Years 3 and 4 across Thinking Schools Academy Trust Medway Primary schools this January, for the annual ‘TSAT Multi-skills competition’. Pupils from Cedar Children’s Academy, New Horizons Children’s Academy, All Faiths Children’s Academy and Gordon Children’s Academy took part in the competitive but fun afternoon. The afternoon was a huge success, with all children participating demonstrating a multitude of Thinking Habits; particularly persistence and cooperation. Year 5 pupils at Gordon Children’s Academy managed the scoring for each event and were all outstanding examples for the Academy. The skills testing included throwing, running and jumping with obstacles. Each school succeeded in their own right throughout the afternoon and all came extremely close to winning! The final saw Gordon Children’s Academy win in both the Year 3 and Year 4 champions. Congratulations to all of the pupils who took part in the event and huge congratulations to Gordon who hold the title for 2019!